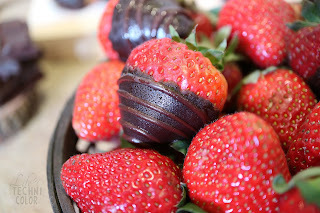 Strawberry and chocolate lovers unite!! 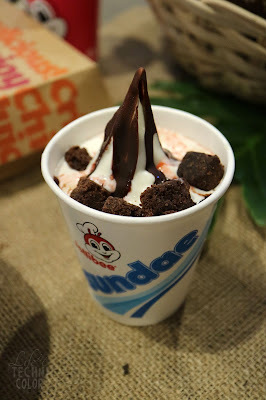 After the success of the Strawberry Fries and Strawberry Tea Float comes a new strawberry-packed treat from Jollibee, the Strawberry Choco Sundae! 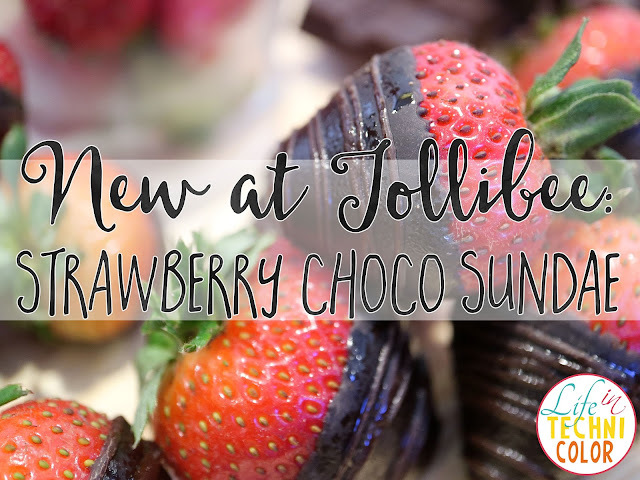 The all-new Strawberry Choco Sundae takes Jollibee's classic vanilla soft-serve to a whole new level by topping it with a layer of indulgent chocolate fudge and delectable strawberry syrup! That's not all - Jollibee even added a crunchy chocolate coating and chunks of chewy brownies for contrasting textures! 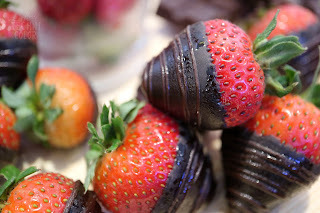 So yes, if you're a fan of strawberries and chocolate, I'm sure you'll love the combination of the two as well! 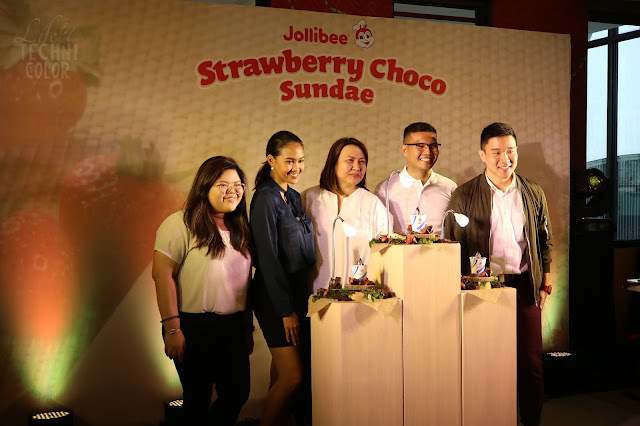 The Strawberry Choco Sundae is the first sundae innovation that Jollibee is launching this 2018. "This exciting new dessert is inspired by the emerging ultra-indulgence trend in the food scene, where the 'more is more' philosophy is balanced out by a thoughtful combination of classic flavors and constrasting textures. 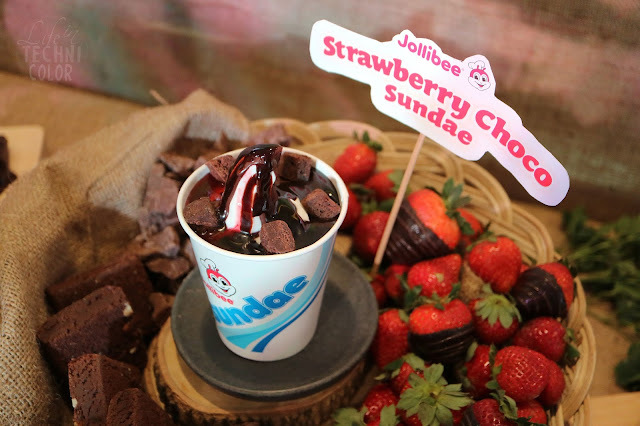 What's great about ths Strawberry Choco Sundae is that it truly feels like a sweet indulgence, but with a very affordable price tag," said Kay Segismundo, Jollibee Senior Marketing Manager. 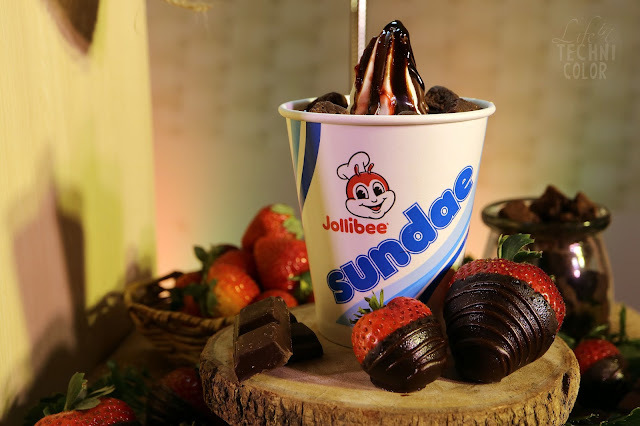 Get the Strawberry Choco Sundae and indulge in the wonderful flavors of chocolate and strawberry, now available in all Jollibee stores nationwide starting January 15, 2018! 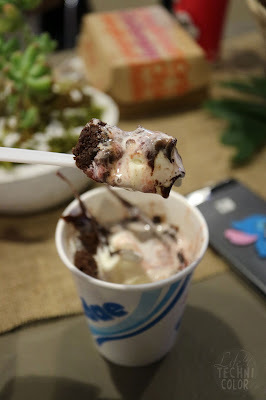 This dessert lover's dream-come-true will be available for dine-in, take out, and drive-thru for only Php 39.